Your expanding business needs easy-to-use yet powerful accounting, inventory, and reporting functionality. 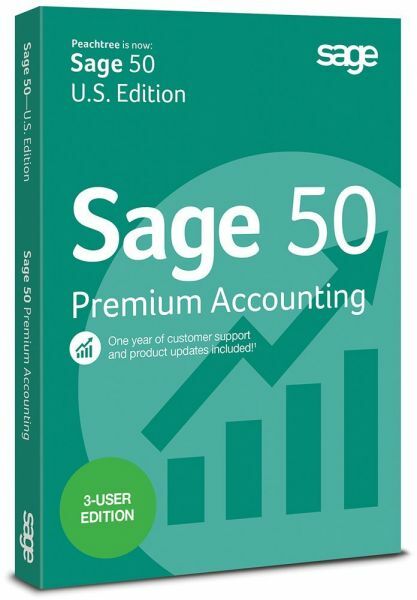 Sage 50 Premium Accounting 2015 provides at-a-glance dashboards and management centers, plus budget and analysis tools to help you make confident decisions. Consolidate multi-company financials, compare multiple budgets, enter and track job change orders, and create custom reports for greater business insight. Plus, Sage 50 comes fully supported and includes automatically delivered updates, access to customer support, online training, installation support, and customized reporting, all part of an auto renewing Sage Business Care plan. You can save time and money and accomplish more every day with Sage 50 Premium Accounting.